This charming fully furnished castle can be yours for $277,000. 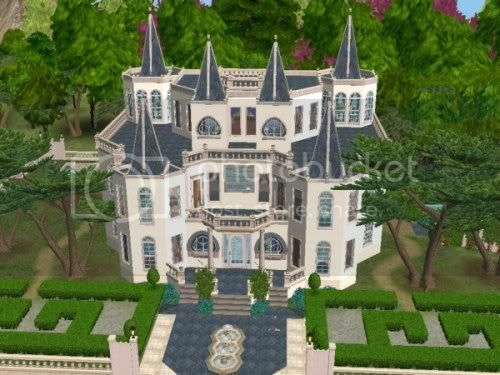 There are 4 bedrooms, 5 1/2 baths, pool, hedge maze and a play area for Sim kids or toddlers. All custom content was created by Me, you may view more of my creations at: www.cc4sims.com Custom content includes, walls, floors, terrains and recolors. As Always, I hope your Sims enjoy!